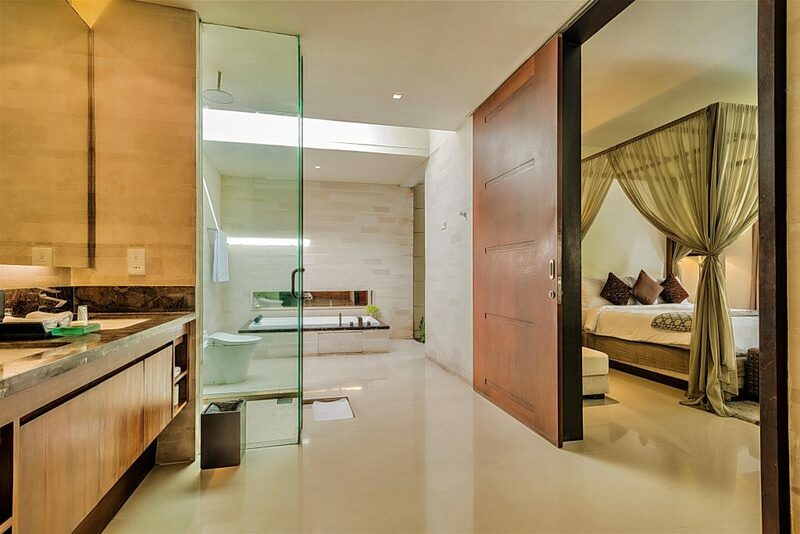 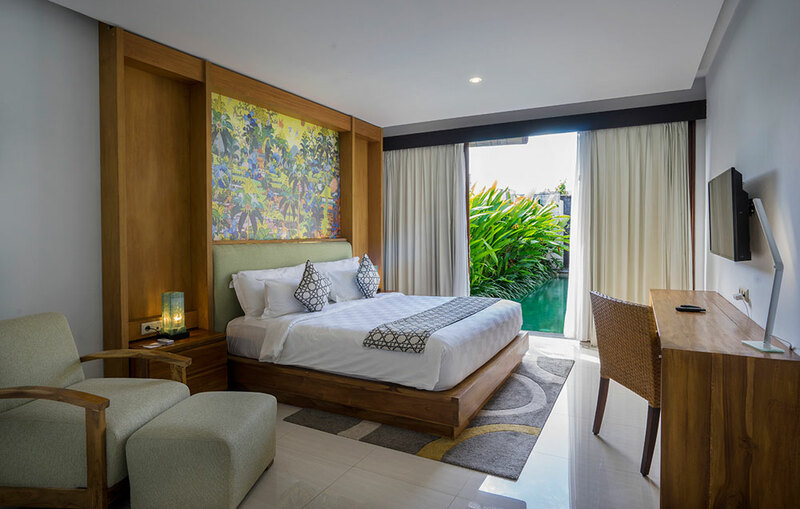 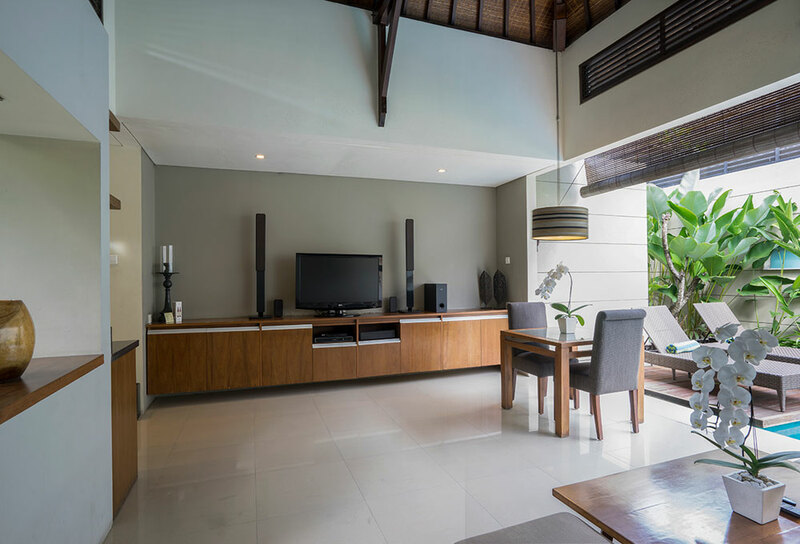 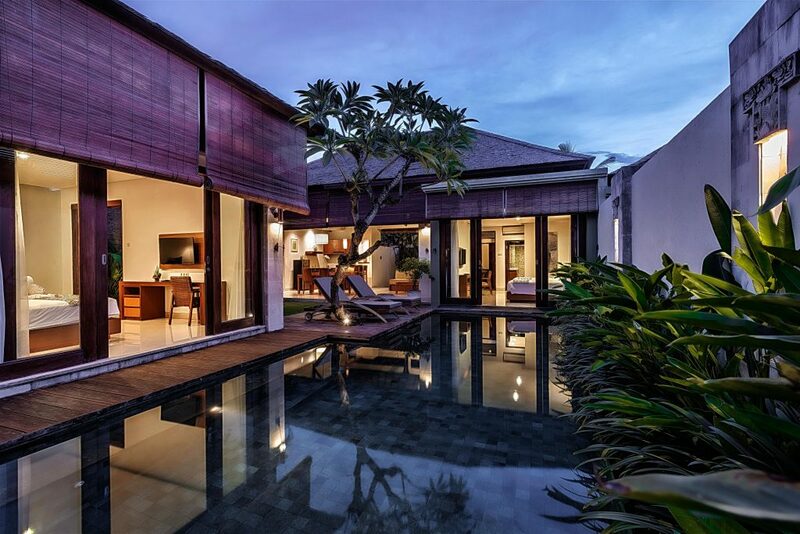 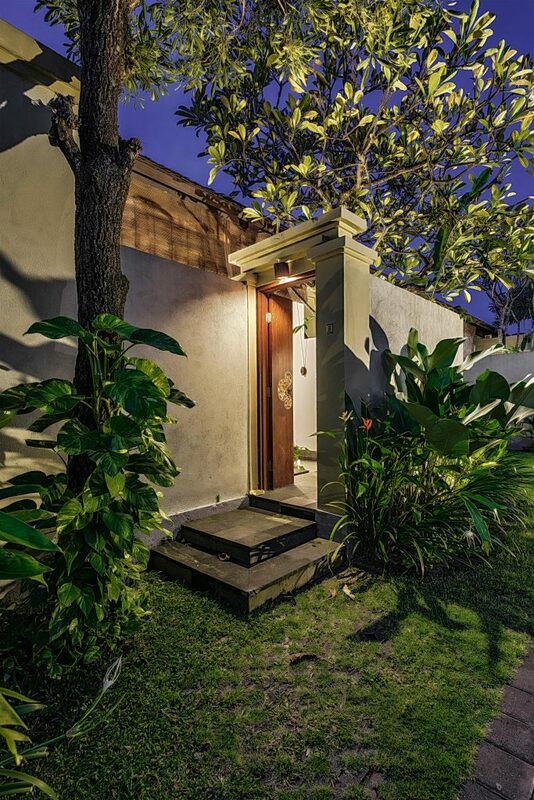 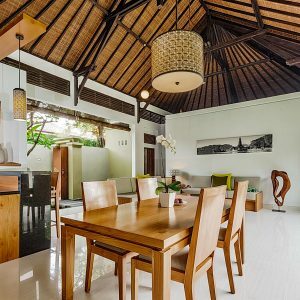 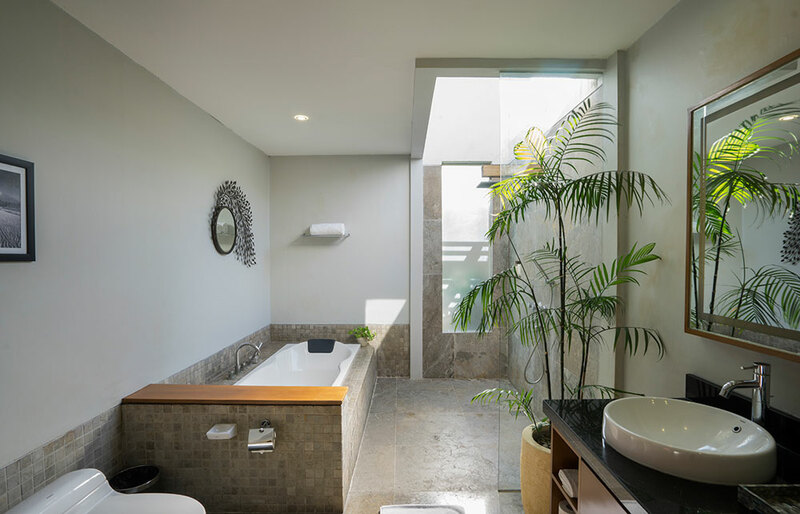 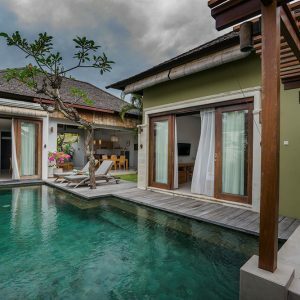 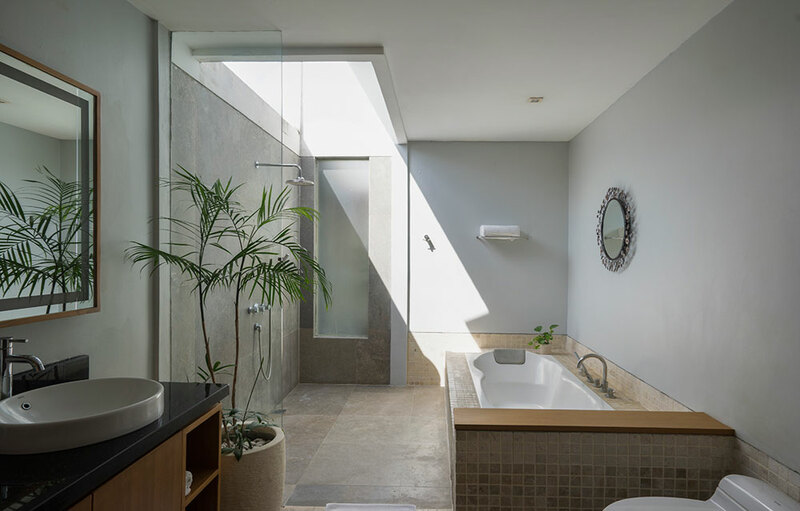 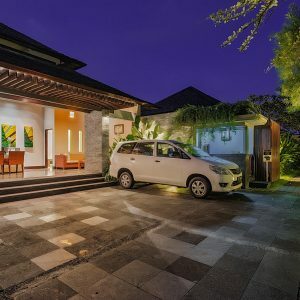 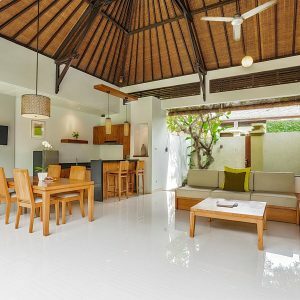 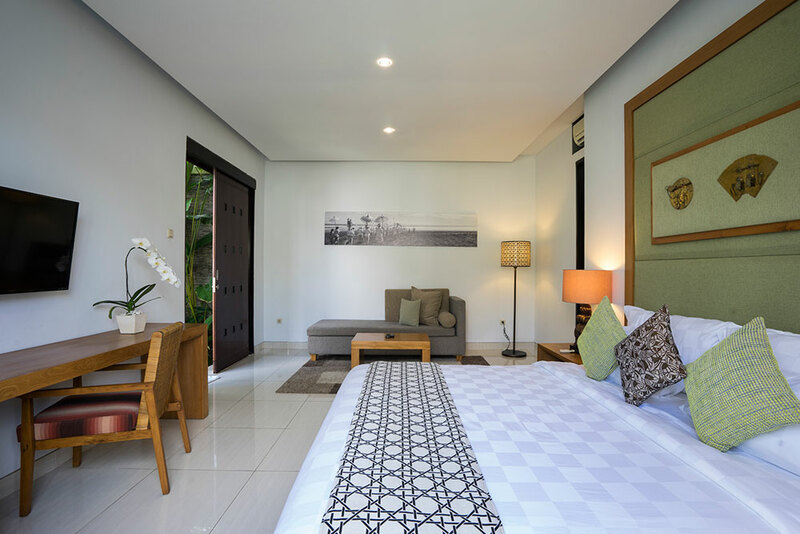 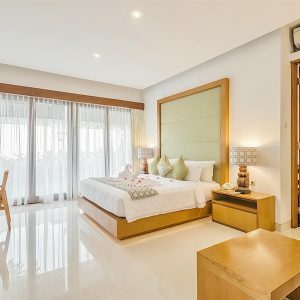 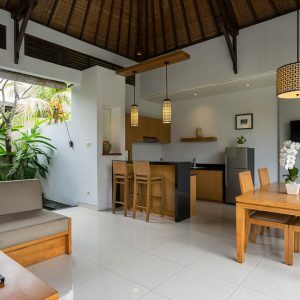 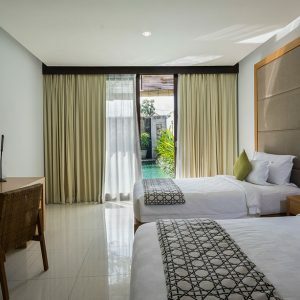 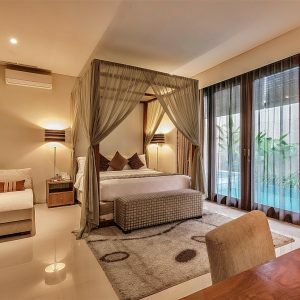 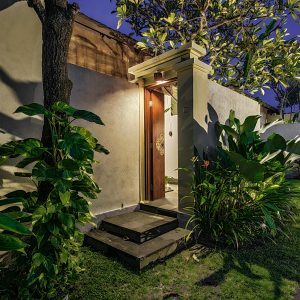 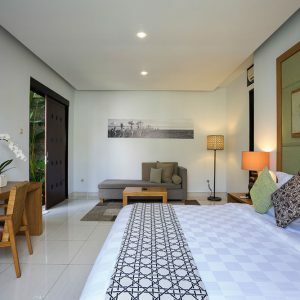 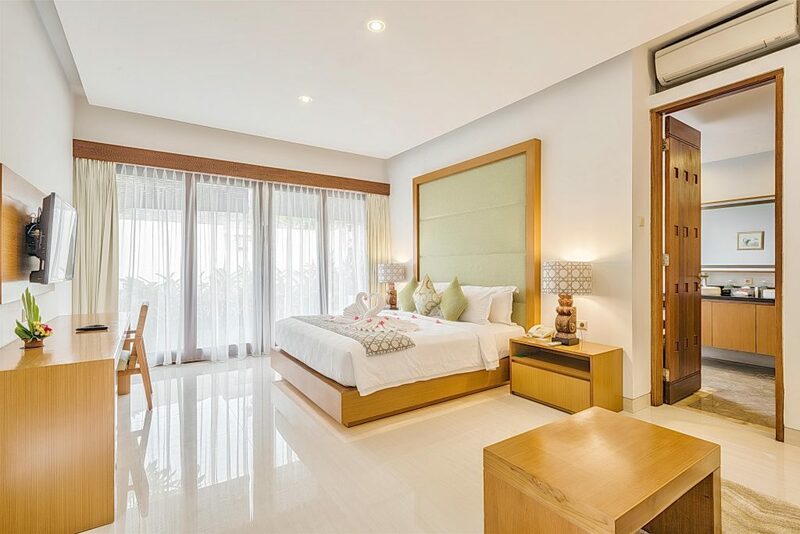 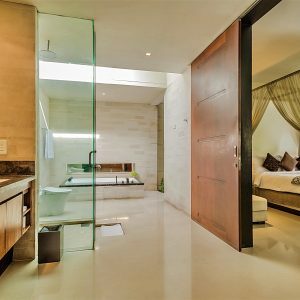 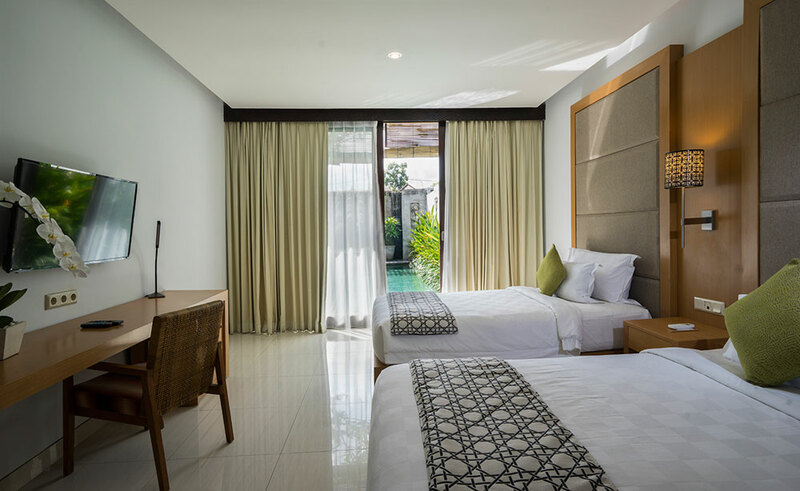 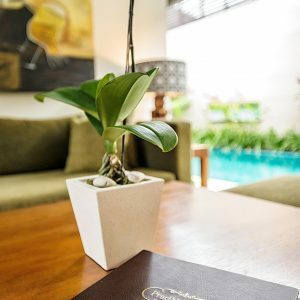 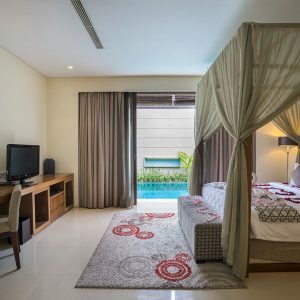 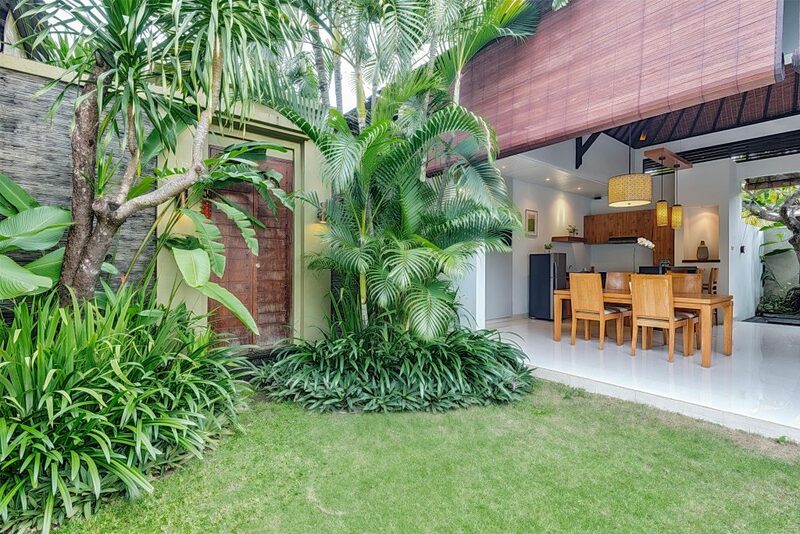 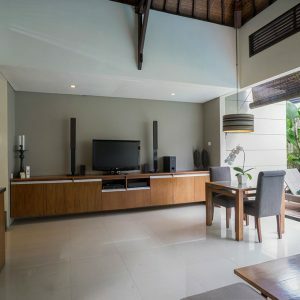 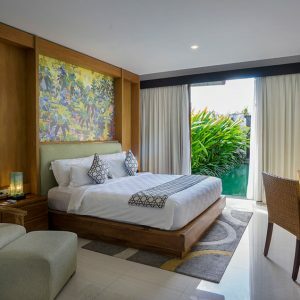 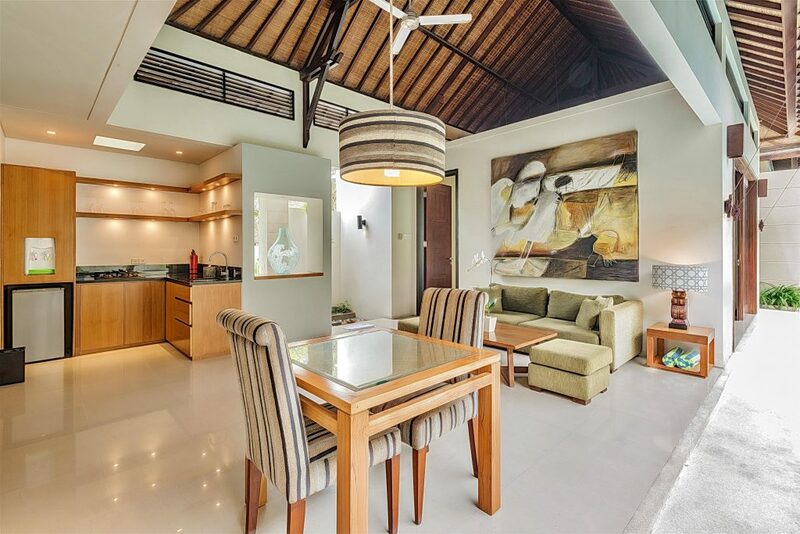 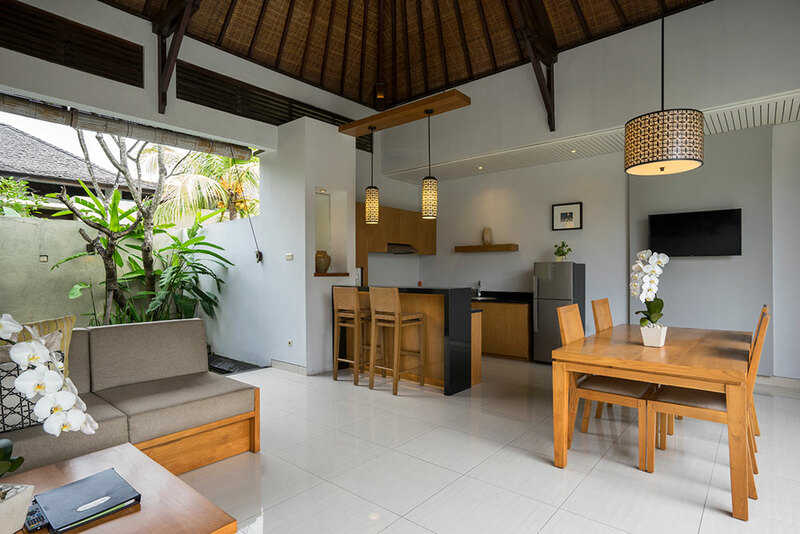 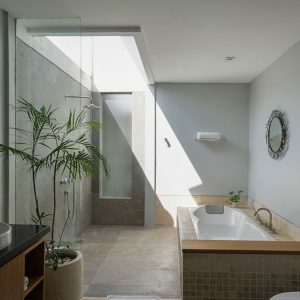 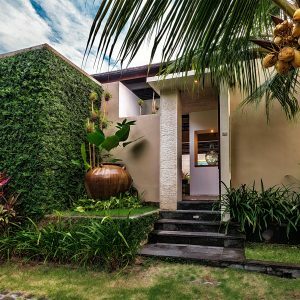 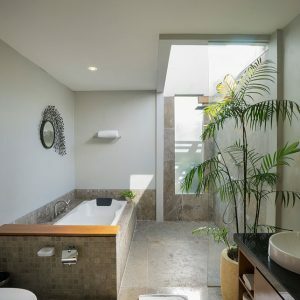 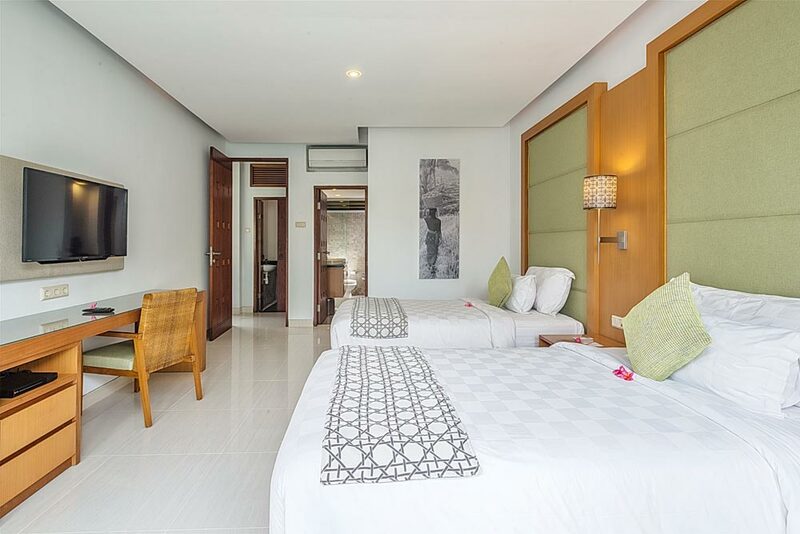 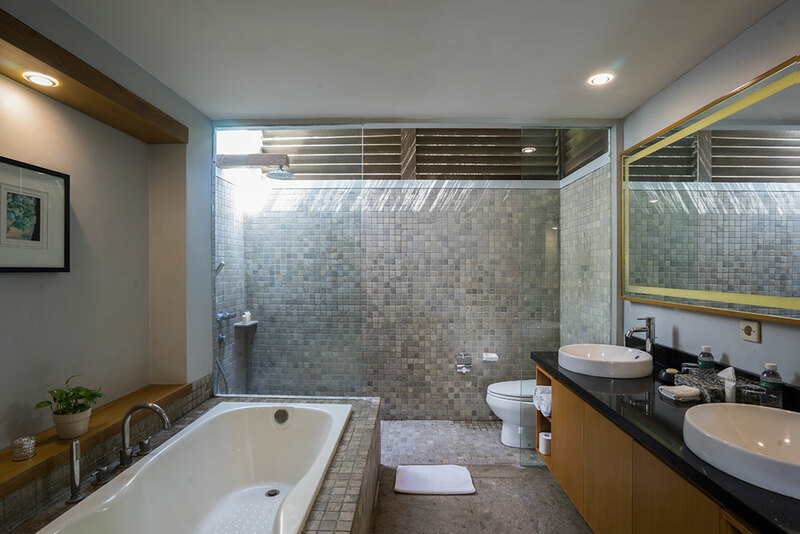 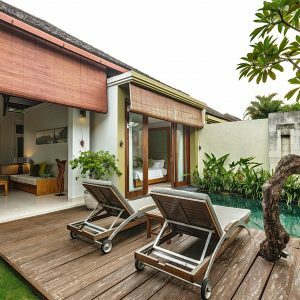 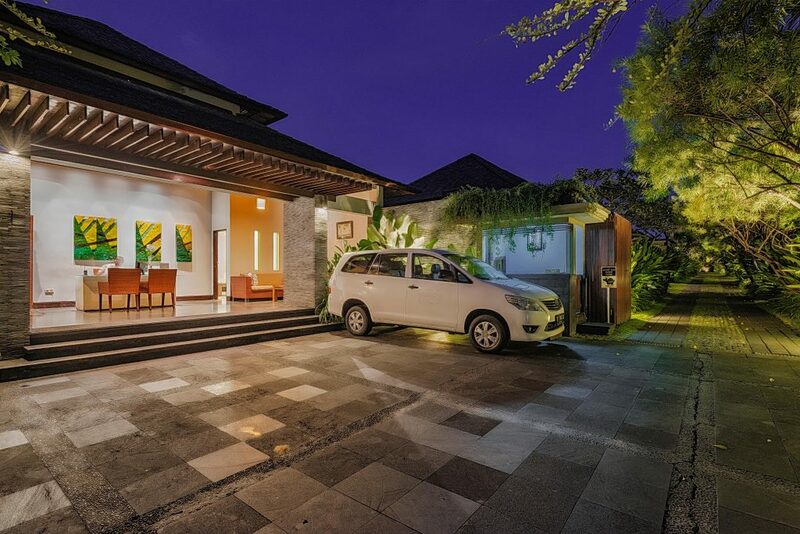 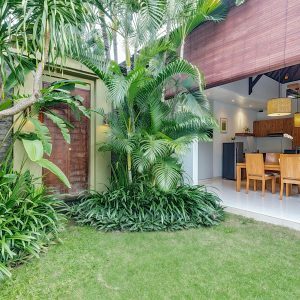 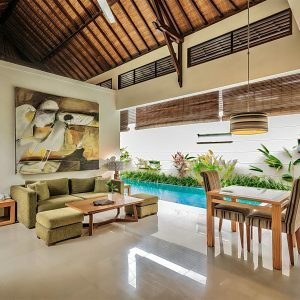 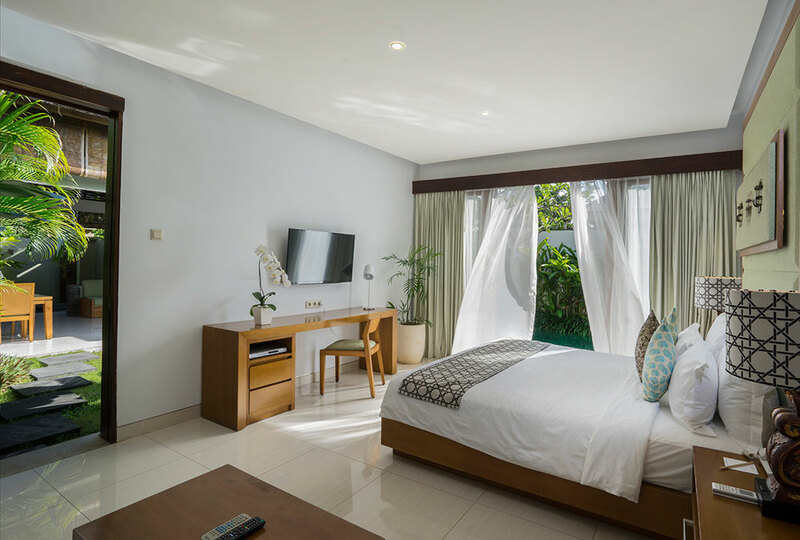 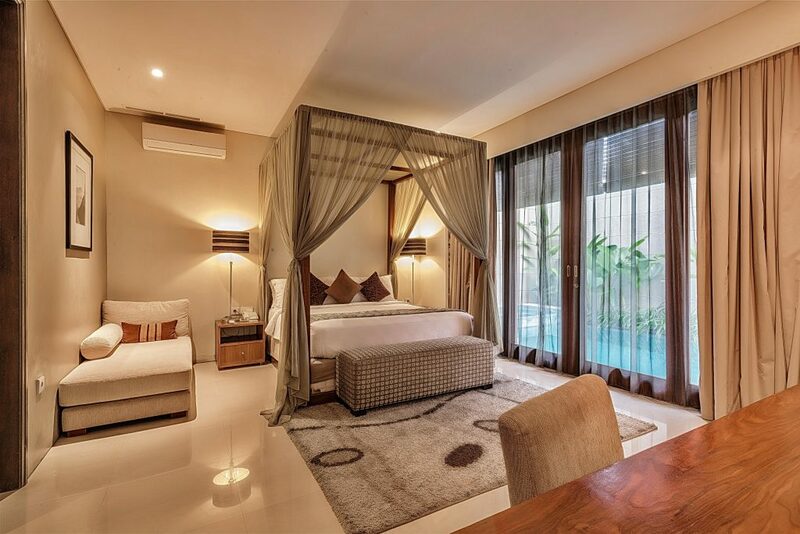 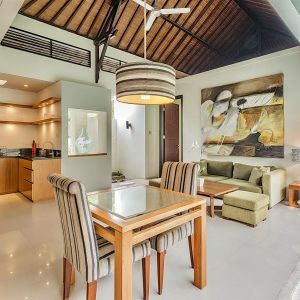 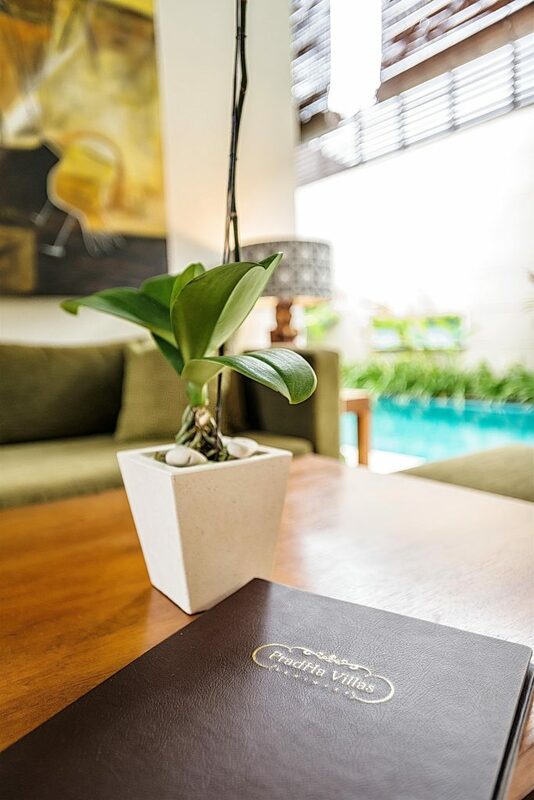 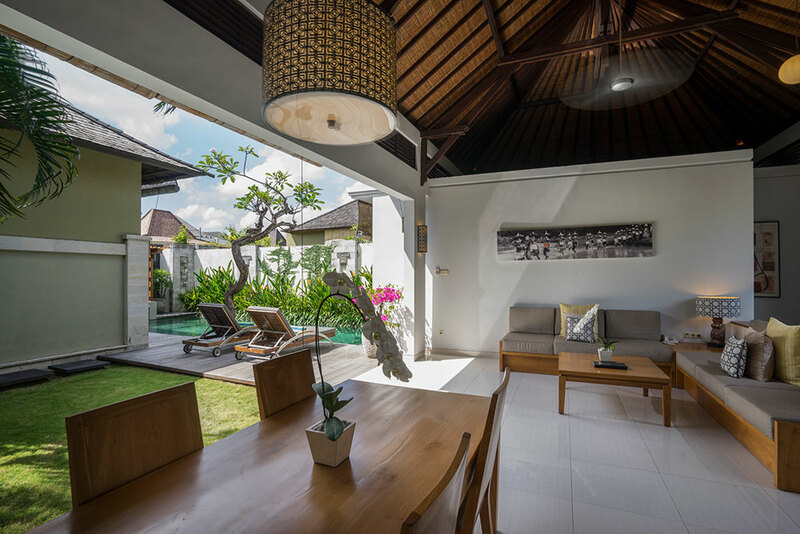 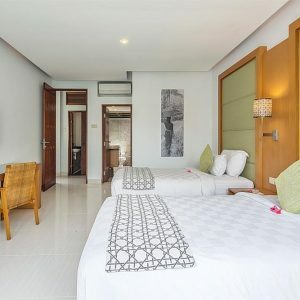 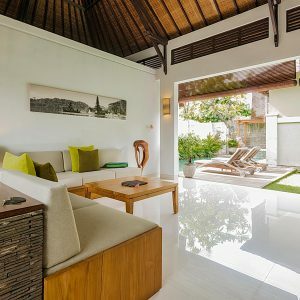 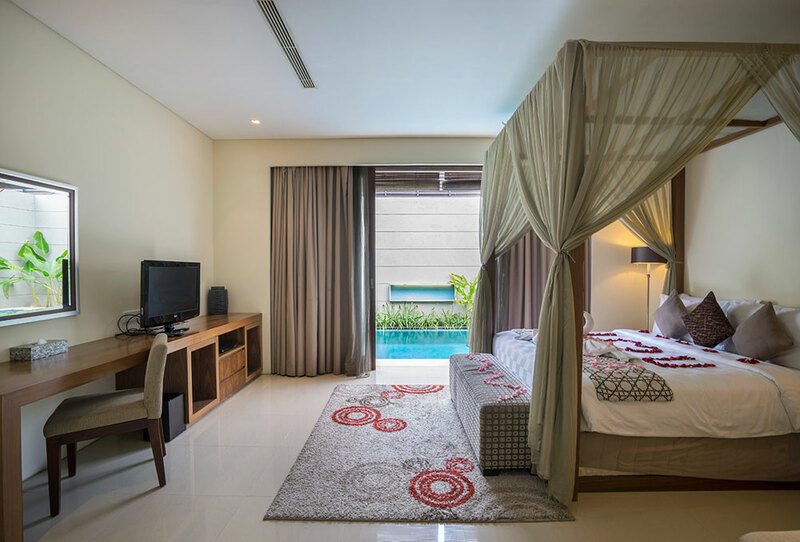 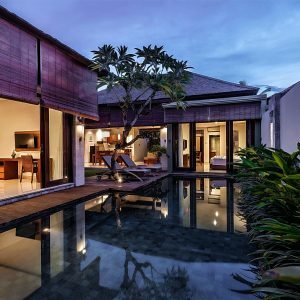 Pradha Villas Seminyak all bedrooms are spacious, climate controlled with a stylish interior which create a sense of privacy. 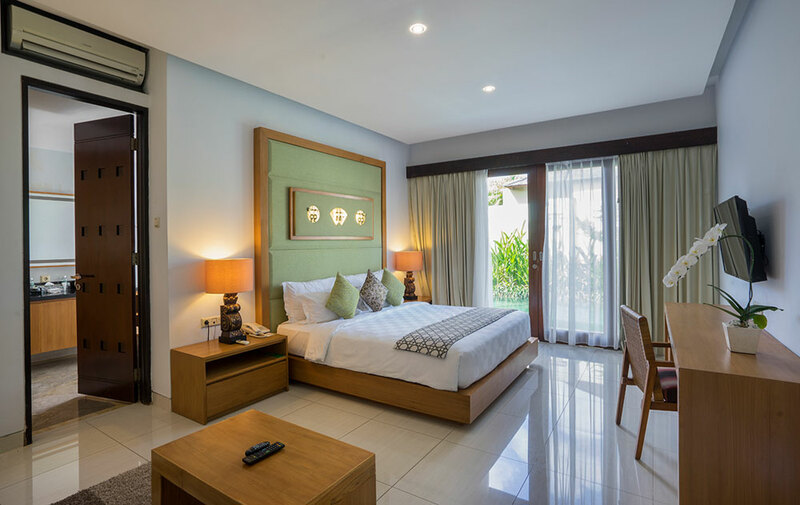 It’s equipped with 60 international cable channels, LCD television, DVD / VCD player, IDD telephone, safety box, mini bar and en-suite bathroom. 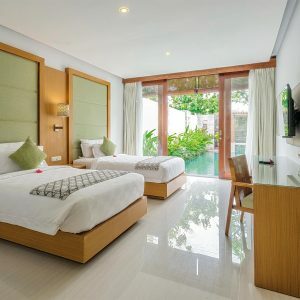 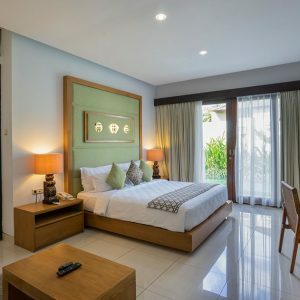 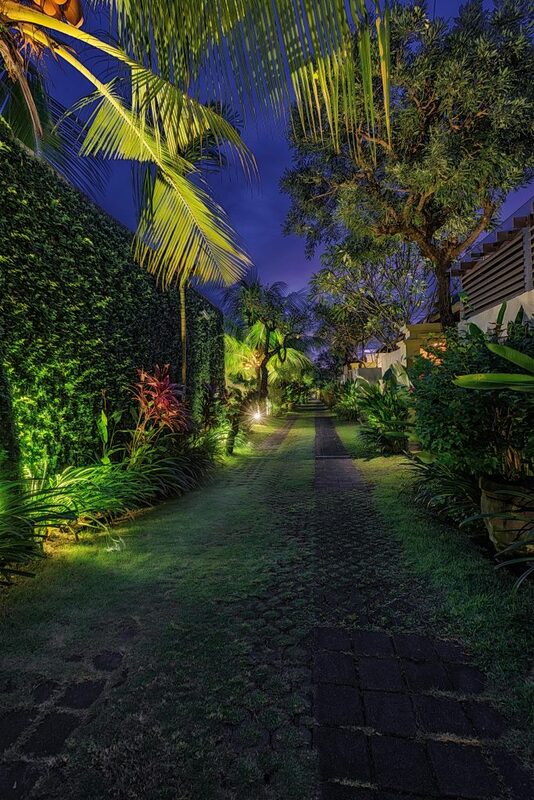 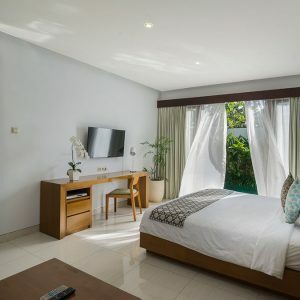 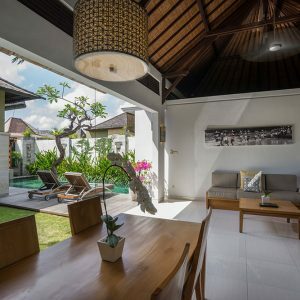 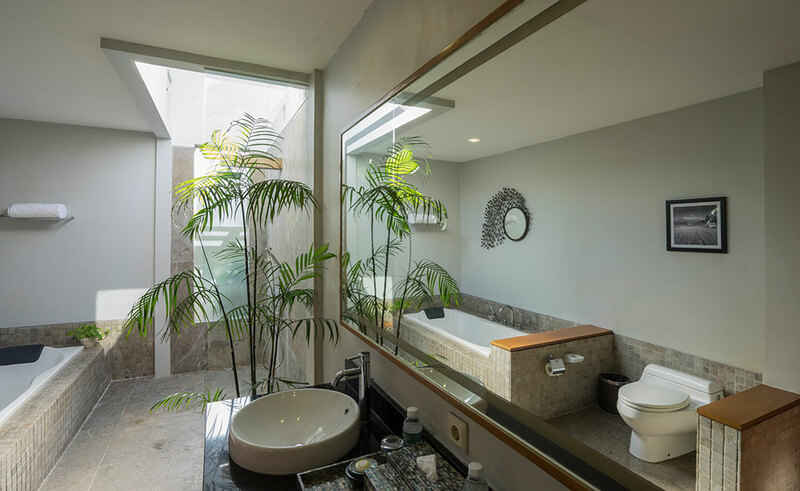 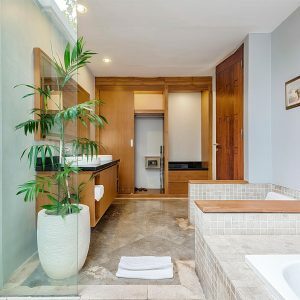 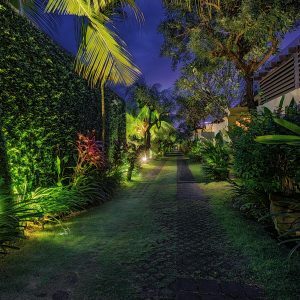 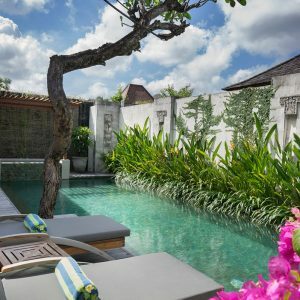 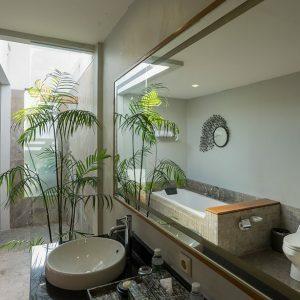 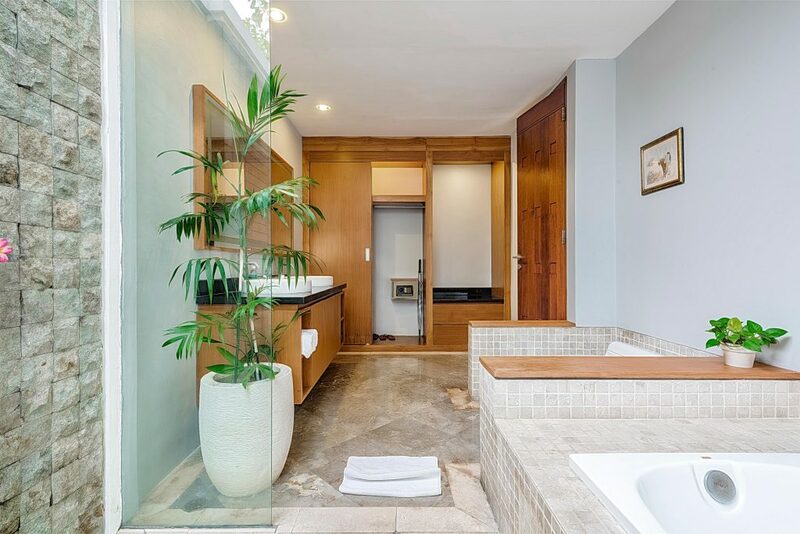 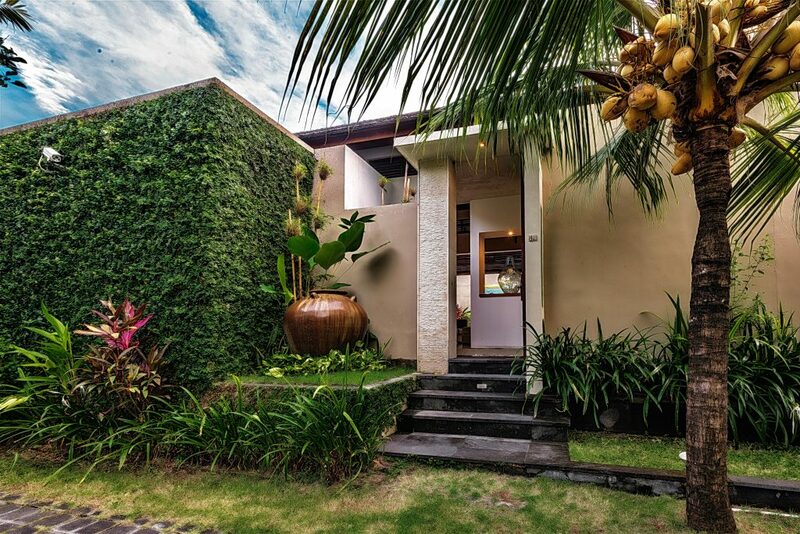 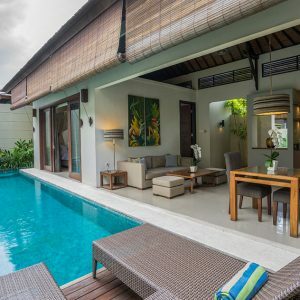 Set in relaxing tropical garden, these fully self-contained, spacious villas have their own private pool connected to the whirlpool, an air-conditioned bedroom with ensuite bathroom, equipped kitchen and bar table, open air living and dinning spaces. 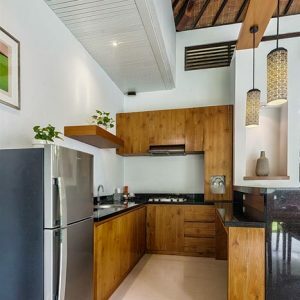 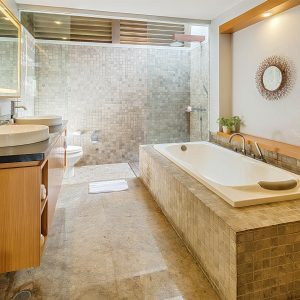 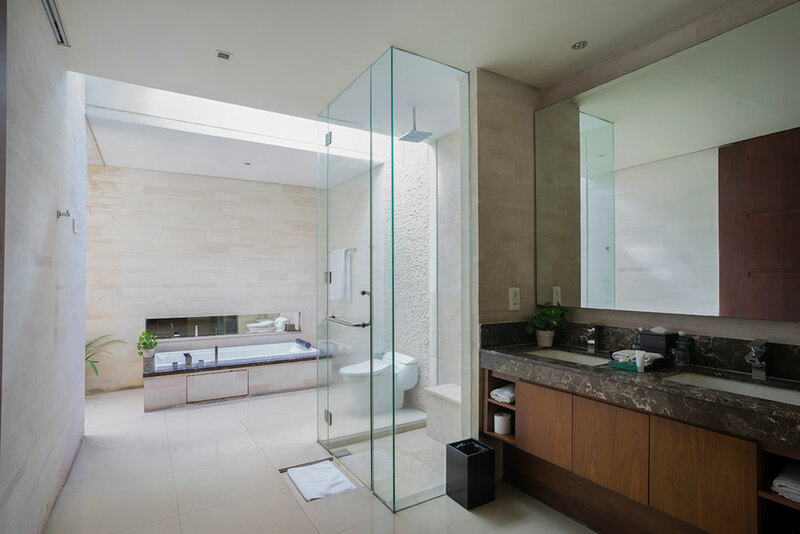 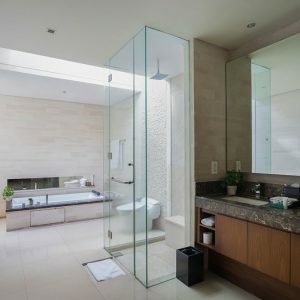 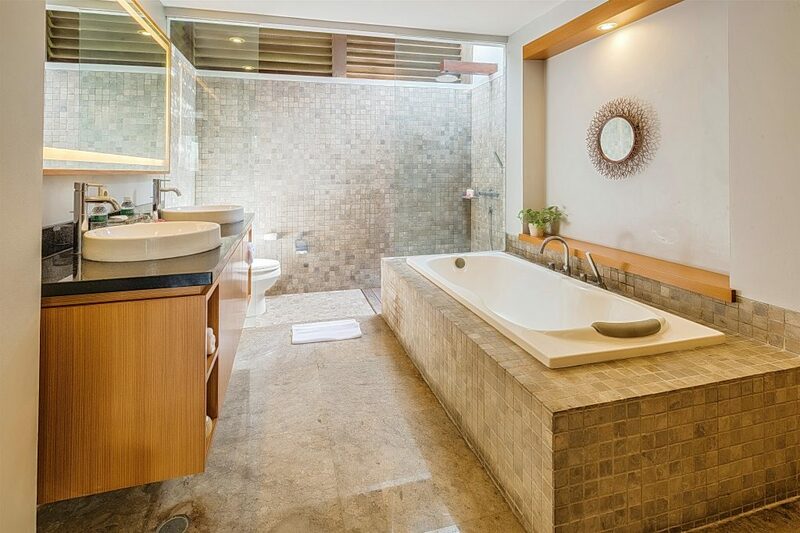 Perfect for couples, luxury one bedroom villas offer a modern design, spacious air-conditioned bedroom with ensuite spacious luxury bathroom, private pool connected to heated swirlpool, open living and dinning space, and equipped kitchen. 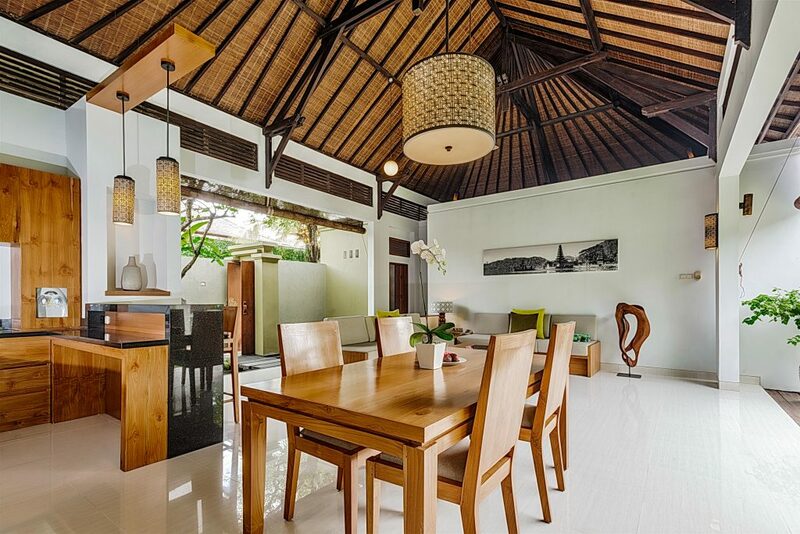 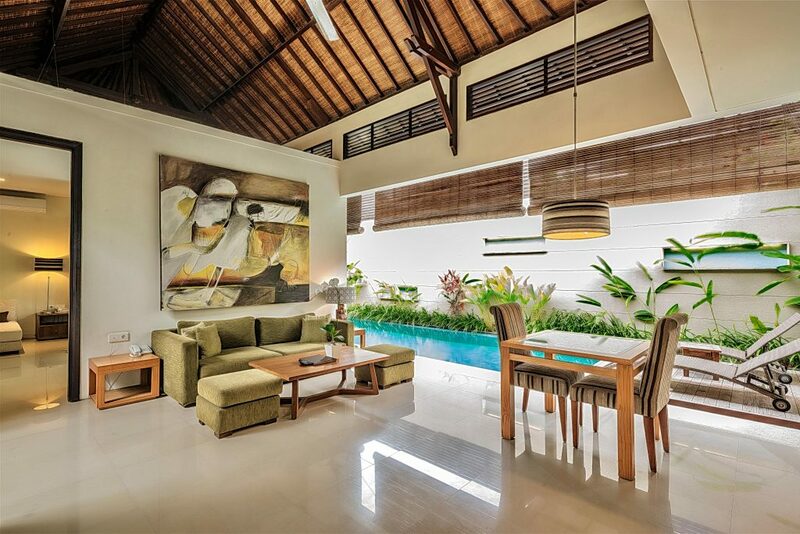 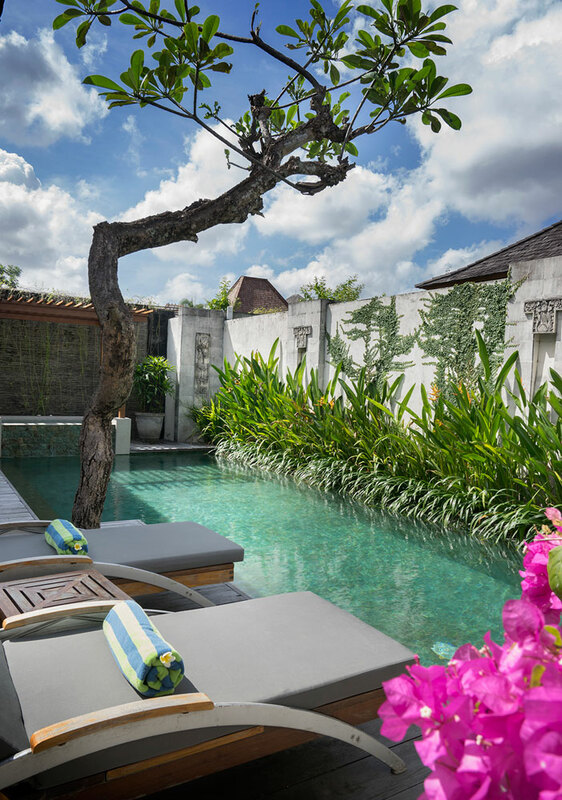 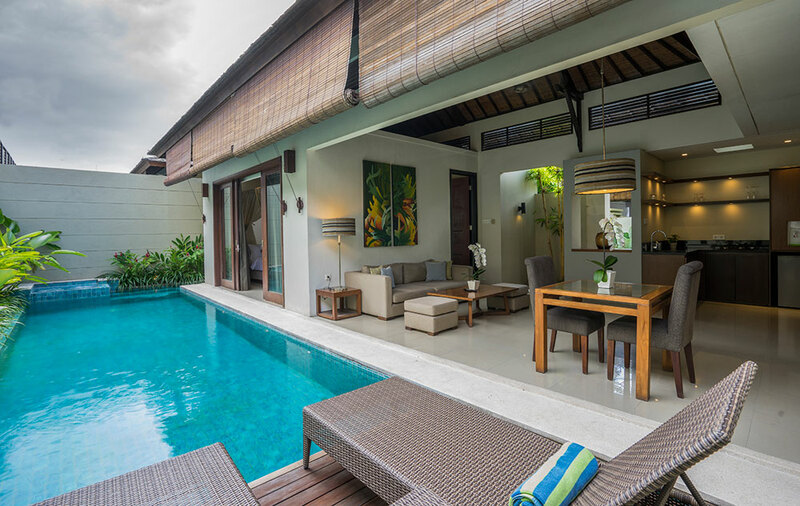 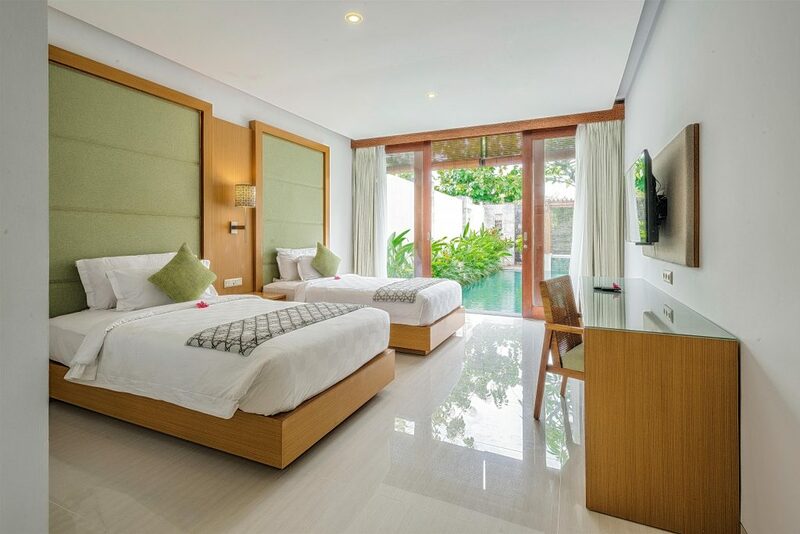 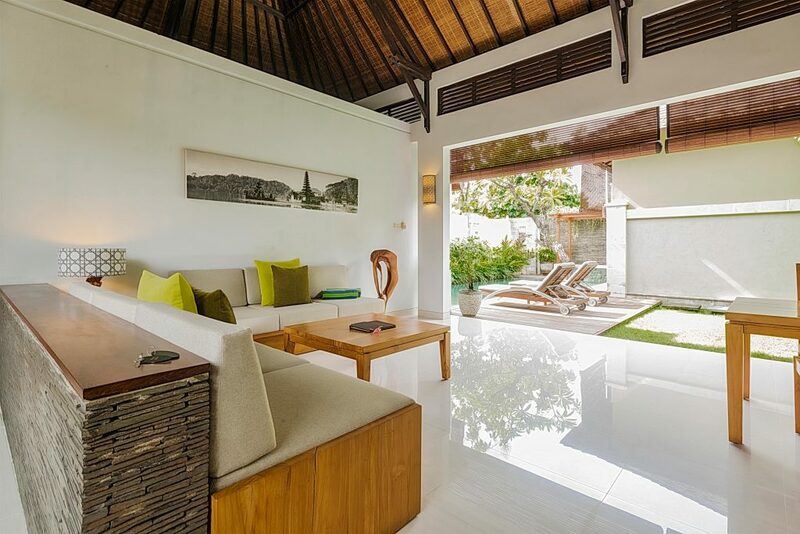 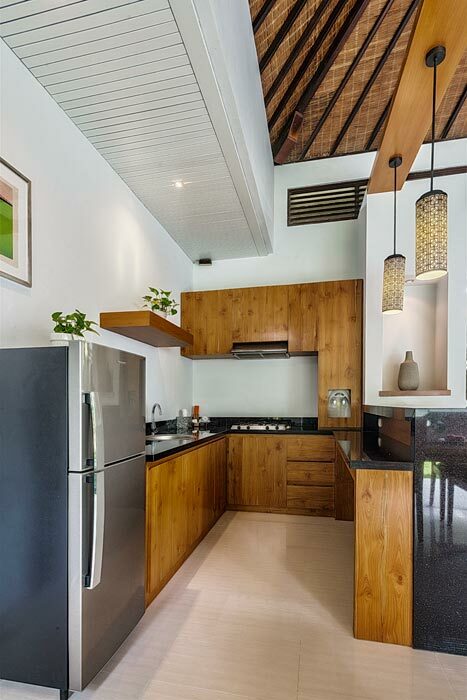 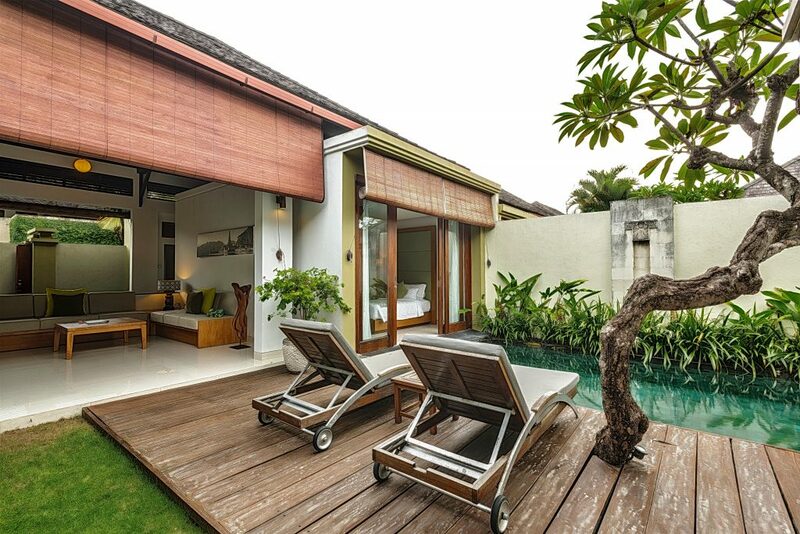 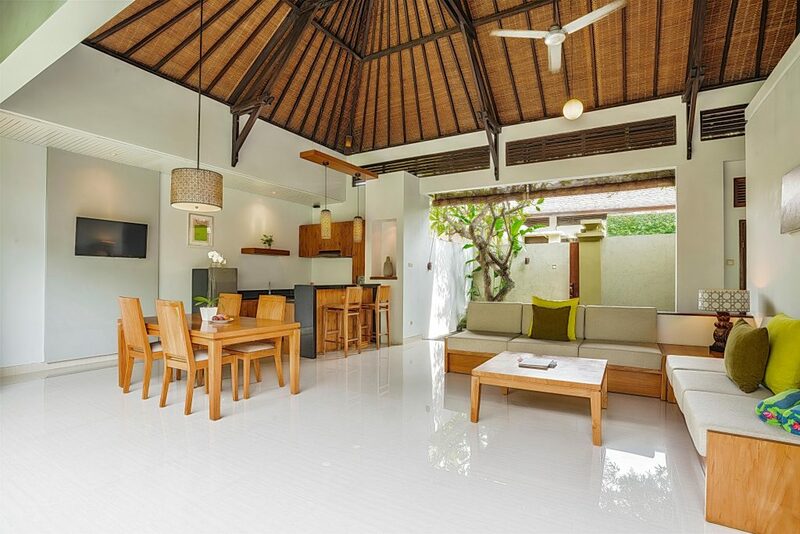 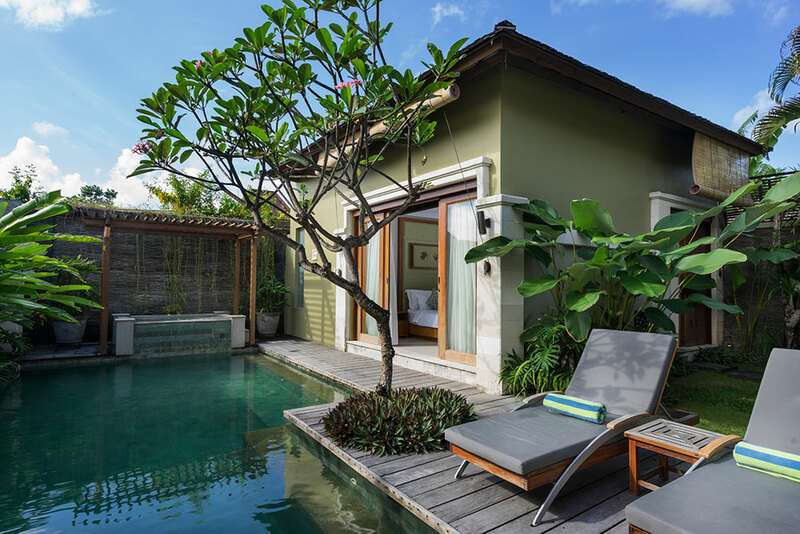 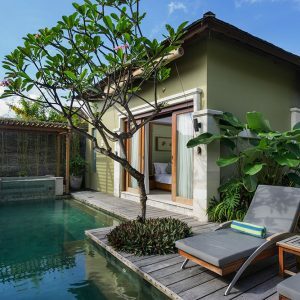 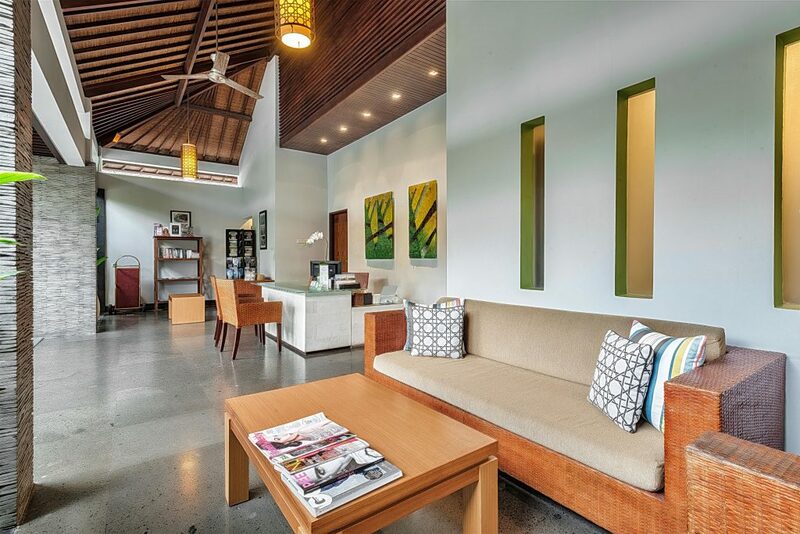 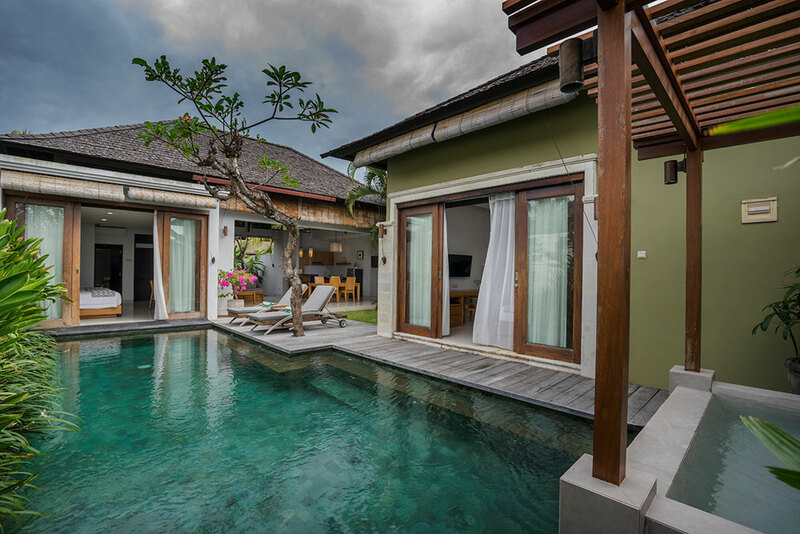 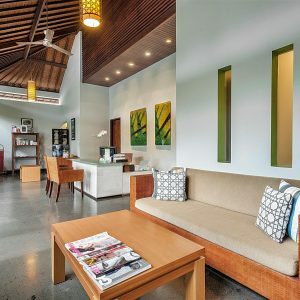 Perfect for family, group or couples these two bedroom pool villas provide a spacious relaxing tropical villa. 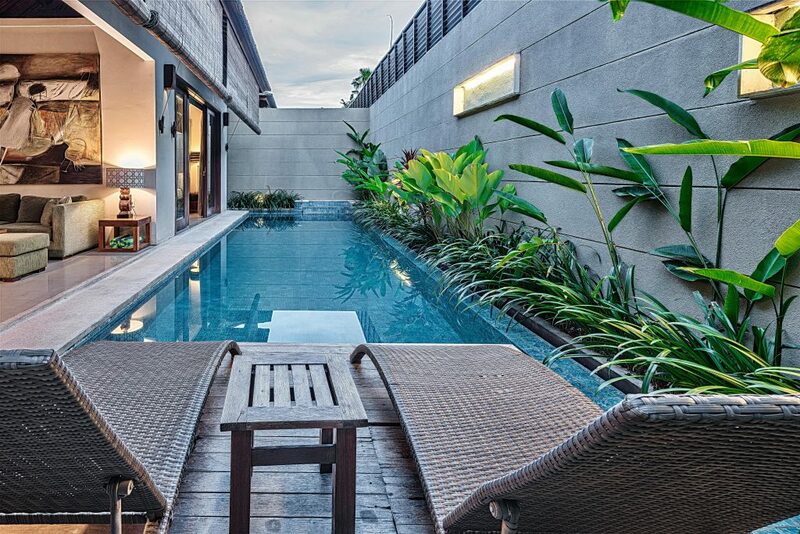 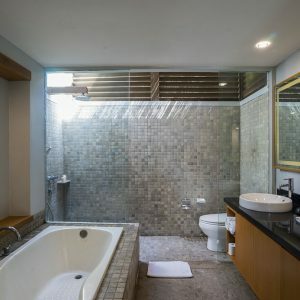 Good size of the private swimming pool connected to whirlpool, air-conditioned bedrooms with ensuite bathroom, equipped kitchen and bar table, open living and dinning spaces. 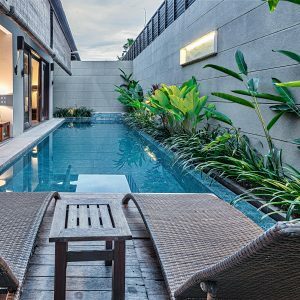 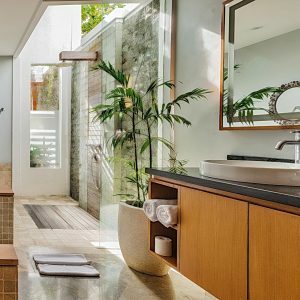 Enjoy relaxing in these quite and tranquil escapes.